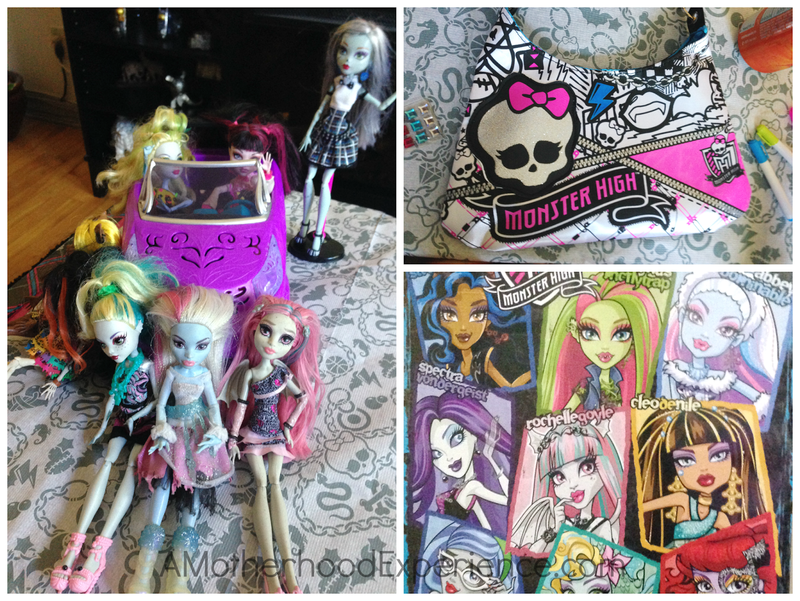 My oldest daughter absolutely loves Monster High™. She has been a fan for about three years now. She has quite the collection of Monster High™ stuff including dolls, accessories, playsets and even the famous Monster High™ high school. It doesn't end there. She even has all of the movies. If you aren't familiar, Monster High™ is a line of dolls by Mattel who inspire girls to be unique by empowering them to embrace their imperfections and express their individuality. It’s a school that creates a world where freaky flaws are celebrated and allows girls to be their authentic self. "Be yourself, be unique, be a monster!". The characters are teens based on known monsters like Dracula, Werewolf, Zombies and more. Each with a unique look and personality to bring to the freakiest cool school around. Miss K was excited to tell us that the newest DvD, Monster High™ Freaky Fusion, was being released this month on September 30th. Just in time for Halloween. I was even more excited to tell her that we get to host a special Monster High™ Freaky Fusion pre-release viewing party at our house, friends welcome! Which means she gets a copy before it hits store, to add to her collection! We arranged our livingroom to be as freaky cool as it could be with our handy Monster High™ table cloth (we saved it from K's birthday party in the summer) and some Monster High™ themed cupcakes to munch on during the movie plus the kids had a chance to colour their very own Monster High™ purses! Even some of the gang came to watch this special premiere! In this latest dvd, Monster High™ Freaky Fusion, "Two ghouls are better than one” is the main message. Teamwork, helping each other, the power of friendship, self-expression, individuality, and accepting others are the key messages that are conveyed throughout the movie. 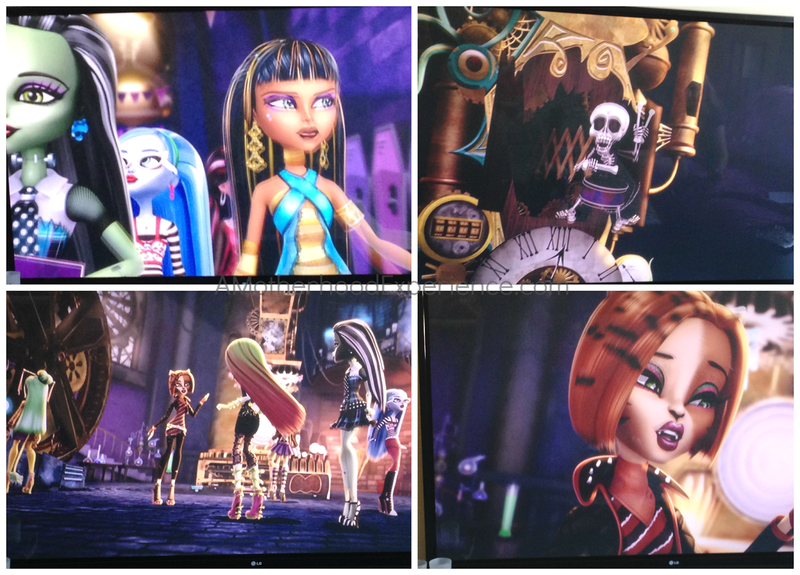 Any Monster High™ fan is always entranced when watching a movie, it was no different for Freaky Fusion. The kids were glued to the movie, chatting between about what was going on. They really enjoyed the new characters, "hybrid" Monster High™! We won't tell you what happened exactly but the Monster High™ gang gets themselves into ghoulish trouble once again. 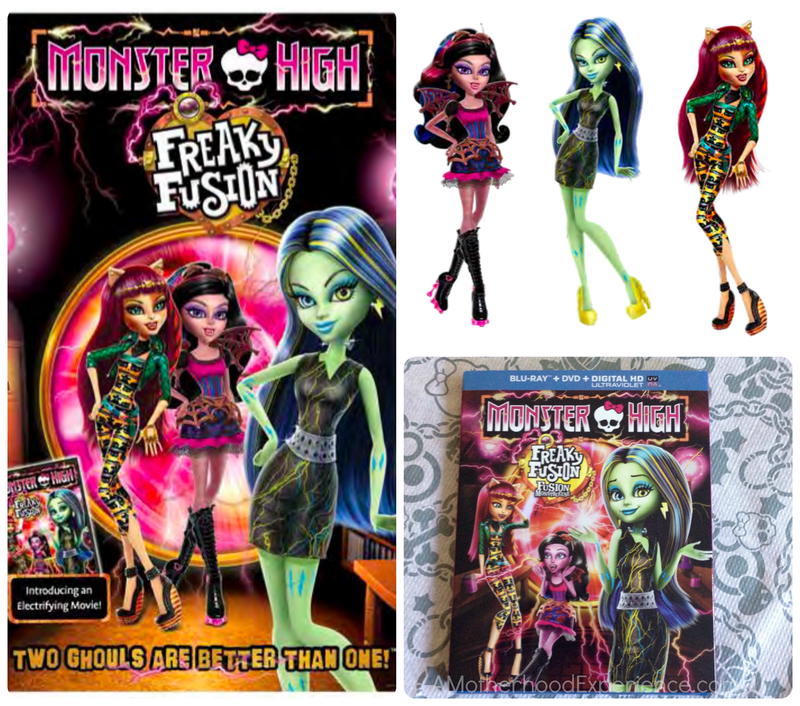 You'll want to add Monster High™ Freaky Fusion to your little ghoules DVD collection! For more information about Monster High™ please visit the website. If you aren't a fan already, why not subscribe to the Monster High™ YouTube channel! You can check out all the latest webisodes and videos plus more! You can also catch @MonsterHigh on Twitter! Follow along hashtag #MHFreakyFusion to talk all things freaky cool about the new movie! 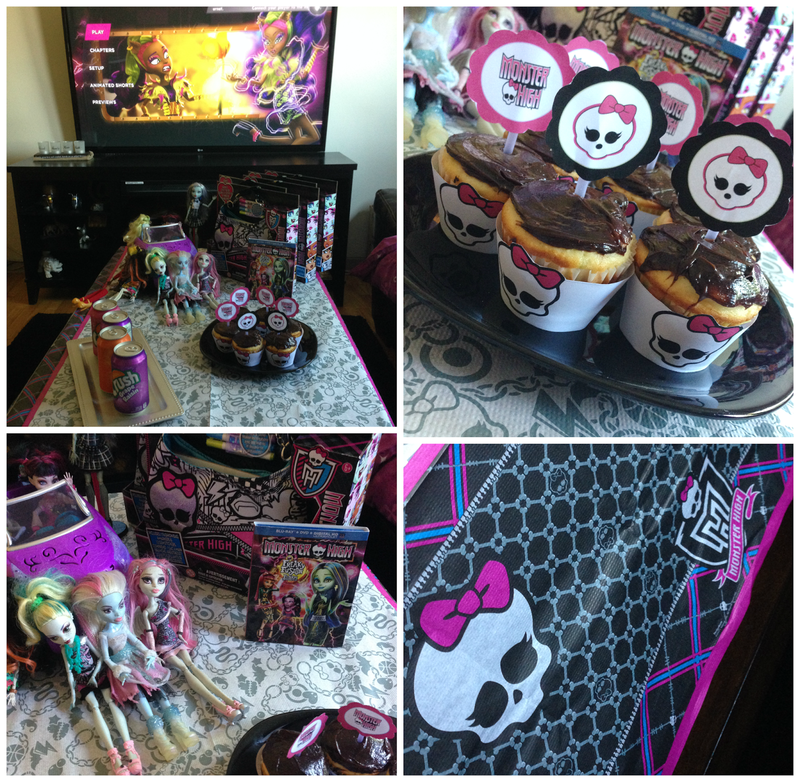 Posted in participation with Mom Central Canada's Mattel Monster High™ Blogger Campaign. Party goodies, DVD and compensation were provided to facilitate this post. Opinions and comments on this blog are honest and those of the author. CASTA FIERCE is my Niece's favourite Monster High ghoul. I like Casta Fierce the most. I really don't know the characters, but the names are fun. Catrine DeMew and Abbey Bominable - so funny! Casta Fierce is one of my girls favourites. My daughter loves Ghoulia Yelps.